The final diagnostic outcome was established after surgery (n = 122) or after a minimum of 1-year clinical follow-up period. Higher rates of malignancy were observed in patients with serum TSH in the upper tertile of the normal range (P = 0.026). 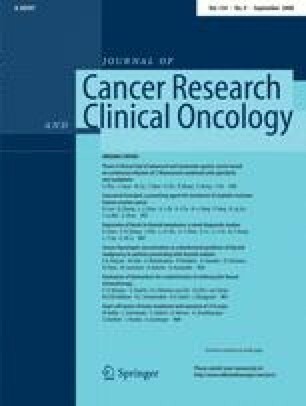 Binary logistic regression analysis revealed significantly increased adjusted odds ratios for the diagnosis of malignancy in patients with serum TSH 1.5–4.0 mIU/l when compared to those with either TSH 0.4–0.8 mIU/l (P = 0.005) or TSH 0.9–1.4 mIU/l (P = 0.007).